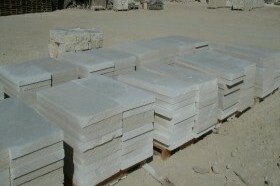 We offer both flagstone and sawn patio stone. Flagstone patio is 1”-3” thick and irregular in shape, with a natural, hand split face. 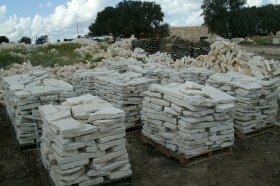 It is available in White, Nicotine, Brown and Texas Mix. Sawn patio is sold in slabs that are 1 ¼” or 2 ¼” thick with a saw cut face and is available in White and Cream.